Five countries, a common story: St. Kilda - The Echo of Birds. On June 21st as public dress-rehearsal and on June 22nd as first performance the Music-Theatre piece St. Kilda - Insel der Vogelmenschen (The Echo of Birds) will be played simultaneously on five stages with live images from St. Kilda. ...to create a contemporary opera based on the story of Saint Kilda, an island in the North Atlantic abandoned by the gods and surrounded by an aura of mystery. The story of a community lost for ever in 1930 on contact with civilization, after long anguish, leaving behind them fragments of mythical memories and insoluble enigmas. ...to restore the memory of this northern insular culture, cradle of so much of great European mythology, using lyrical opera, the dramatic narrative and extreme choreography. ...to rediscover strong emotions generated by this "Island at the end of the World", today an exclusive kingdom for numbers of large sea-birds, jealously conserved and isolated from human predators. ...to reinject life into the Gaelic language , the archaic language belonging to the "Birdmen", by creating a lyrical dramatization drawing on the resources of this bizarre memory and using the musicality, accents, rhythm and poetry of spoken Gaelic. How was communication organised between these people isolated from the rest of Europe, and how did that change through contact with the rest of the world? What were the reasons for the evacuation? Our goal is double: to acquaint the world with this story whilst preserving the integrity of the site. The archipelago is protected and closed as a National Park and classified by UNESCO as a natural, historical and sub-marine heritage. The initial action from the island itself will be relayed, accompanied and put in phase with several localities in Scotland and the European continent. The work in its entirety will come to life as the musical and dramatic actions take place simultaneously. Because of satellite and high-definition Internet, poetic and musical ubiquity will emerge. Without a doubt also, and most certainly a new dimension in artistic communication, a new way of plunging into and exploring our collective European memory. 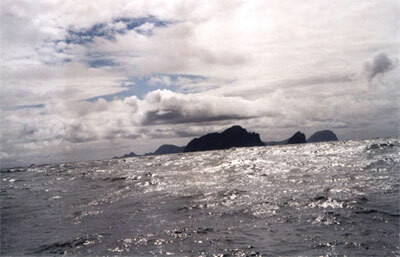 St Kilda as the epicentre of a new poetic memory. Forgotten by the rest of the world for hundreds of years, the island of the "Birdmen" will re-live for the length of this ubiquitous opera. Through this original artistic adventure, the gravitational centre of an imaginary world emerges from oblivion. To carry through a model cooperation between European culture-makers: a common theme explored from five different points of view.